City Rhythm in South Philly! On Main Stage at Garden Festival! Another Great Show at the Colonial! 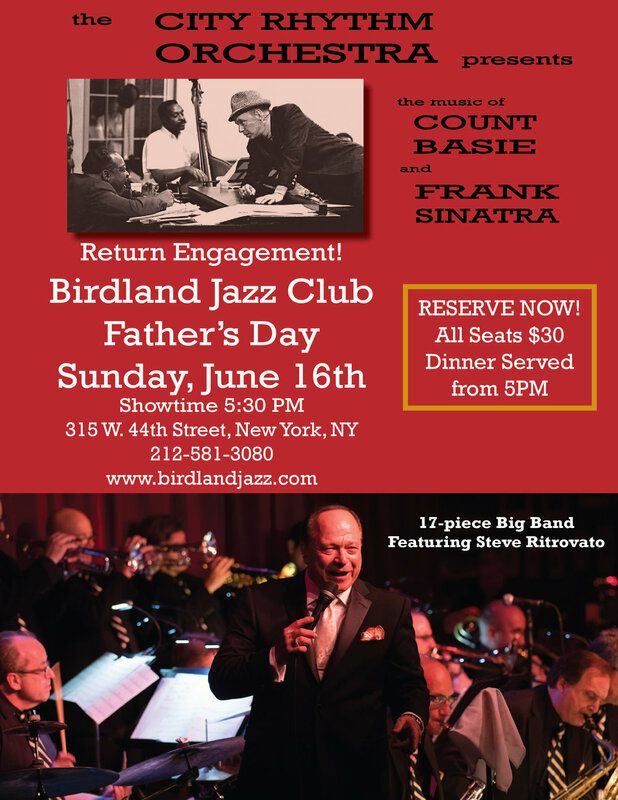 City Rhythm Returns to Birdland! Read 2018 Review in "Jersey Jazz"
Count Basie-Frank Sinatra Big Band Show! Great Summer Night at the Shore!